Alzheimerliga, the Alzheimer League in Belgium, working with DDB Brussels, has won the Design Grand Prix at the Epica Awards for “Simplified Stories”. The Simplified Stories is a series of simplified books designed to motivate people with early onset dementia to keep on reading. 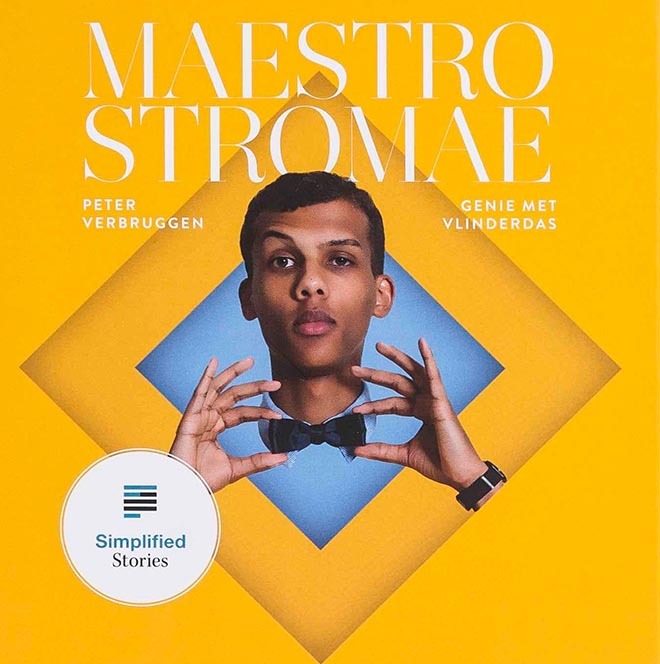 The project was launched with the condensed version of Peter Verbruggen’s biography of pop star Paul Van Haver, “Maestro Stromae”, published by Borgerhoff & Lamberigts. Stromae’s popularity also appeals to children/grandchildren who can read the book together with the person who has dementia. 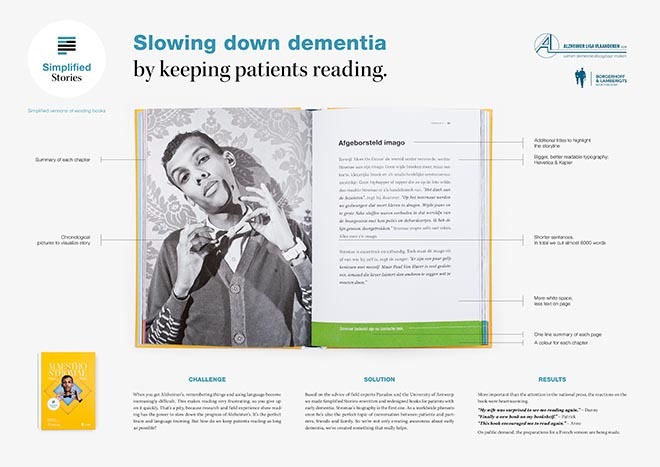 Alzheimerliga and DDB Brussels worked with a regional expert dementia centre, Paradox and Professor Sebastian Engelborghs (University of Antwerp), to make reading easier and more enjoyable. By simplifying a book, there are fewer elements to remember. The core of the story and the book remain, but in the first book in the series, nearly 8,000 words have been removed from the biography. The layout, font and structure have also been adjusted, and a brief summary of each chapter is also available. The Simplified Stories project was developed at DDB Brussels by creative directors Peter Ampe and Odin Saillé, copywriter Bart Van Goethem, art director Stefan van de Boogaard, creative Tim Arts, graphic designer Marlène Wautot, account manager Silvie Erzeel, account executive Anneleen Vande Voorde, PR manager Kenn Van Lijsebeth, working with Alzheimerliga. Film production was by Thinkfish Media. Photography was by Adam Kozlowski.